I'm not sure anymore where I first saw this cookbook, but it promised easy, fast, and yummy meals so I ordered it. 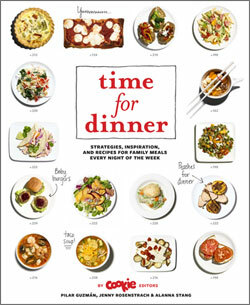 The rest of the book's title is: Strategies, Inspiration, and Recipes for Family Meals Every Night of the Week. 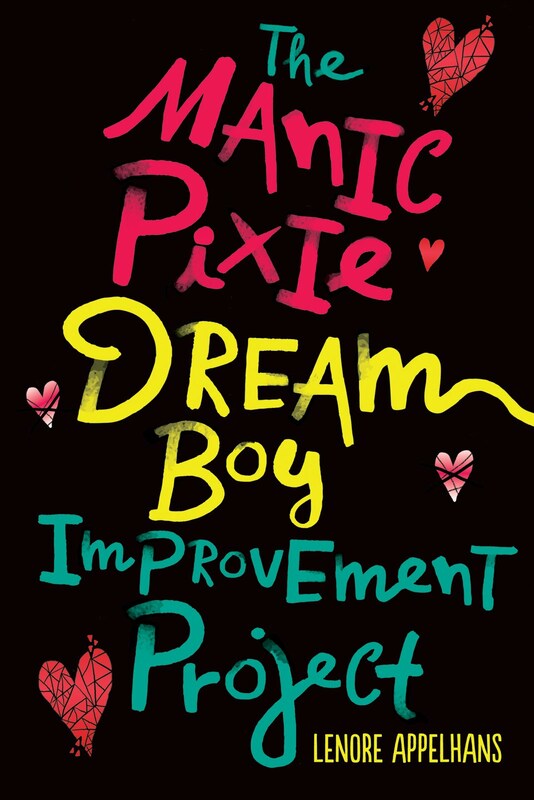 It was put together by the editors of Cookie Magazine and has a very clean magazine design look and feel. I love it! Now even though the target group for this cookbook is busy mothers with children, I found it practically perfect for me, a busy professional cooking for two (no children). First off, it starts with the strategies, which includes having a pantry, fridge and freezer stocked with some basics (and these basics are used over and over in the following recipes). It also recommends a variety of tools and kitchen items that will make your life easier, especially if you have young children that want "to help" you cook. This weekend, I made two dishes from the hard to screw up meals section. The first was avgolemono, a very simple and delicious Greek soup. Bring broth to a boil. Add orzo and cook for 7 minutes (20 min if using rice). Season with salt and pepper and reduce heat to low. Let simmer. In medium bowl, whisk together the eggs and lemon juice until smooth. Ladle about 1 cup of the hot broth into the egg and lemon mixture, whisking to combine. Add mixture back into the simmering saucepan. Stir 1-2 minutes until the soup becomes opaque. Serve. You can also add shredded chicken if you wish. I followed the recipe except for adding double the orzo (and Daniel said he still wanted more orzo, so I might do 3/4 of a cup next time). I loved the tang of the lemon in this filling soup. I gave it an A and Daniel gave it a B. Next I made rigatoni casserole with tofu, spinich and mozzarella. This made a HUGE casserole which is lighter than our typical casseroles because of the lack of meat. Daniel found it a bit bland, but hot sauce did the trick. We both give it a B. I am sure we will be eating on it for days! I'm really excited about trying out tons of other recipes in this cookbook, and that doesn't happen often. I especially like the section "Use what you already have" which gives different staples (like potatoes, canned tomatoes, lentils, eggs, tofu, rotisserie chicken and many others) and then three ways to make it depending on what other ingredients you have on hand. 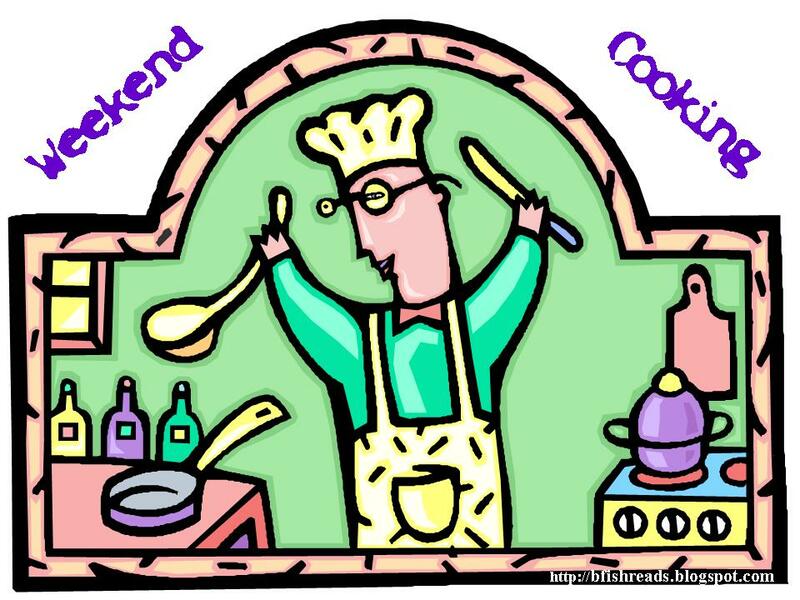 Weekend Cooking is a feature at Beth Fish Reads that is open to anyone who has any kind of food-related post to share: Book (novel, nonfiction) reviews, cookbook reviews, movie reviews, recipes, random thoughts, gadgets, fabulous quotations, photographs. This is my second time participating - but not my last! 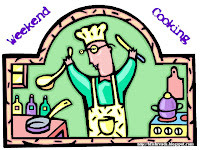 Daniel and I have vowed to cook more at home, so you should be seeing more cookbook reviews from me in the coming year. I love it when I come across enthusiastic reviews for cookbooks I have not yet hear of, and a lot of the things you mention about this book excite me. I especially like the soup that you made from it and think it sounds delicious. I will be printing out this recipe and seeing if I can get my hands on a copy of this book. It sounds wonderful!! Maybe you saw my review of the cookbook! Oh and how funny that I had the soup recipe all along. Now I can't wait to try it. So glad to a second thumbs-up on this cookbook. Oh, this is fun. I always wonder if my dish will look like the one in the cookbook. That casserole looks yummy. Glad you were able to spice up the blandness. I guess hot sauce does wonders for everything. I love cookbooks and this one sounds like a must have! I am always looking for fast, easy recipes for dinner. Both these recipes look delicious. I've been making lots of soups and may use this recipe this week. I love having a good rotating pantry list; it makes it so much easier to make dinner every night. Thanks for sharing such a useful cookbook. Mmm, I once had a similar soup at a restaurant and fell over-the-moon in love with it. I'll have to try to make it at home. I don't really think either of these would go over well with my family. Thanks for the review though. I especially like the section title Family dinners where everyone eats the same thing (even if our plates look different. That pretty much describes our dinner every night. Ooh this looks like an interesting cookbook. I'll have to take a closer look!